No, I am not a killjoy, but I am definitely a supporter of ‘kill crackers’ – well, because crackers kill. 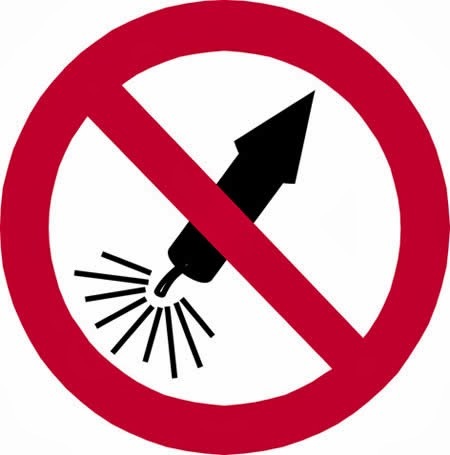 With Diwali just around the corner, I’m sure we are looking forward to an enjoyable festive season, not a fumes filled festival that leaves us all fuming! It’s rather strange, we are not a stupid people, and we know perfectly well the dangerous chemical cocktail that firecrackers are composed of – we can probably rattle off the names of the hazardous stuff they put into the crackers and the ailments they cause – so why then do we spend thousands of rupees (even when the economy is down and inflation is up) on actually harming ourselves? Forget about burning a hole in our pockets, it’s more like they've burnt a hole in our brains! Probably what we need is a cultural change. Talking about culture is treading on explosive ground, people get all upset and uptight the moment you say something unsavoury about culture. But yes, I repeat: we need a cultural change. Culture is not a static sacred norm; it is a way of life that evolves over time. And in the course of this evolution not everything that becomes part of our life – ‘our culture’ – is right or good or perfect. Firecrackers, for example – to believe that firecrackers are an indispensable ingredient of our festivals, that’s a myth we need to correct, a custom we need to call a halt to.